OR CALL FREE 0800 0832 797. The phone lines at the company's HQ at Newcastle under Lyme, nr Stoke on Trent, Staffs, are open 8am-11pm every day. Why not pay a visit to our NOTTINGHAM factory? See being made the highest quality riser recliners in the world ! ... and if you've read down this far you must really be doing your research so as a reward click on recliner chair to see one working and imagine you're sitting there and how it feels. Now it's your turn ............ 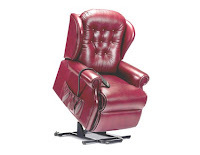 Either select one of these terms as the most suitable to enter our language, or submit your own to -mailto:-chaircompetiton@castlecomfortcentre.com or via the coupon here. For every single entry, £10 will be paid in your name to this very good cause, and if your selection is chosen by Wikipedia or the Oxford Dictionary - you'll win £100! Good luck. Hopefully the effort put into studying all this and joining in the event will cause the evolution of another word to join our language. 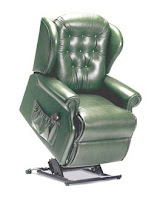 And don't forget -and we are sorry if you have been taken away from the task by this -if you are searching for one of these amazing products for yourself or a loved one - then Castle Comfort is the family business nationwide that can help. Being based in Staffordshire - this doesn't prevent their prompt and efficient service from helping you. 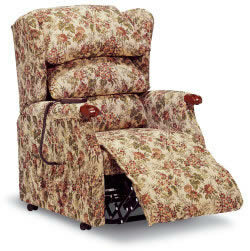 We remind you here of their regular delivery and demonstration trips all over the country. Their regular delivery and home demonstrations schedule is featured below, and you can even see a photo of the actual Castle Comfort team members who will be coming. Or for, further information, contact them here or call FREEPHONE 08000 832 797 ANYTIME FOR A BROCHURE AND FURTHER ADVICE. Daily. North Staffordshire Run. Stoke on Trent, Newcastle under Lyme, Leek, Biddulph, Stone, Cannock, Cheadle, Stafford, Rugeley, Hanley, Longton, Burslem Tunstall, Kidsgrove, Alsager, Uttoxeter, Market Drayton & Gizmoville etc. Chester, Flint, Rhos on Sea, Landudno, Prestatyn, Conwy (Conwy) Wrexham, Anglesey, Gwynedd. Welsh spoken - Cymraeg ar lafar. Every other Thursday West of Birmingham to Bristol Run. WHY NOT VISIT OUR NOTTINGHAM FACTORY? 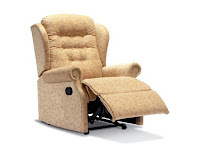 See being made the highest quality riser recliner chairs in the world. Kidderminster, Leominster, Hereford, Ross on Wye, Gloucester, Cheltenham, Stroud Stow on the Wold etc. Cornwall, Devon, Somerset, Dorset, Hampshire, West Sussex, Easat Sussex and Kent. Every Monday, Thursday & Friday South Cheshire Run. Congleton, Macclesfield, Prestbury Stockport, Crewe, Sandbach, Nantwich, Cheadle Hulme, Knutsford, Warrrington,Ellesmere Port, Widnes Runcorn & The Wirrall etc …………………………………………… Every Wednesday The Lancashire Run. Includes Manchester, Wigan, Bury, Stockport, Rochdale, Liverpoolm Birkenhead, Preston, Blackburn, Burnley, Blackpool, Southportm Morecambe, Lytham St Annes, Lancaster Fleetwood and Colne etc. ………………………………………… Every Tuesday The Shropshire Run To the Welsh Borders visiting Bridgnorth, Shrewsbury, Telford, Newport, with often extended runs to incorporate Powys, and the Swansea and Cardiff areas. Derby, Matlock, Burton on Trent, Matlock, Chesterfield, Nottingham Mansfield & Retford. .................................................................. Every other week (on an unspecified day) Birmingham Run. As far as northern Home Counties ie Hertfordshire, Bedfordshire, Buckinghamshire & Berkshire. Covers Northampton, Aylesbury, Milton Keynes, Corby & Kettering. ………………………………………………… Increased and enhanced arrangements at Christmas& Mother’s Day & Father’s Day. Guaranteed Birthday/Anniversary delivery dates - Anywhere in England & Wales with 14 days notice. Welsh spoken - Cymraeg ar lafar Scotland & Northern Ireland – 21 days notice recommended ................................................................ Emergency deliveries arranged ASAP. 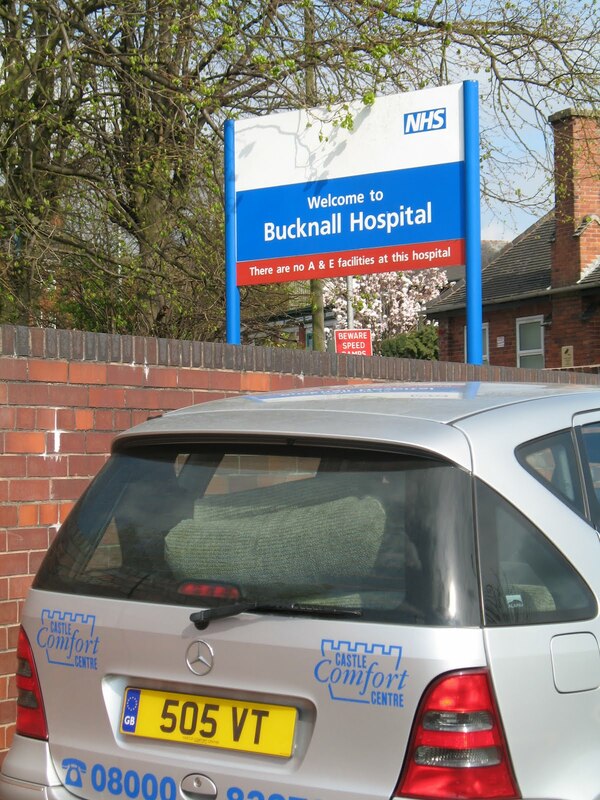 Hospital discharge cases receive top priority. 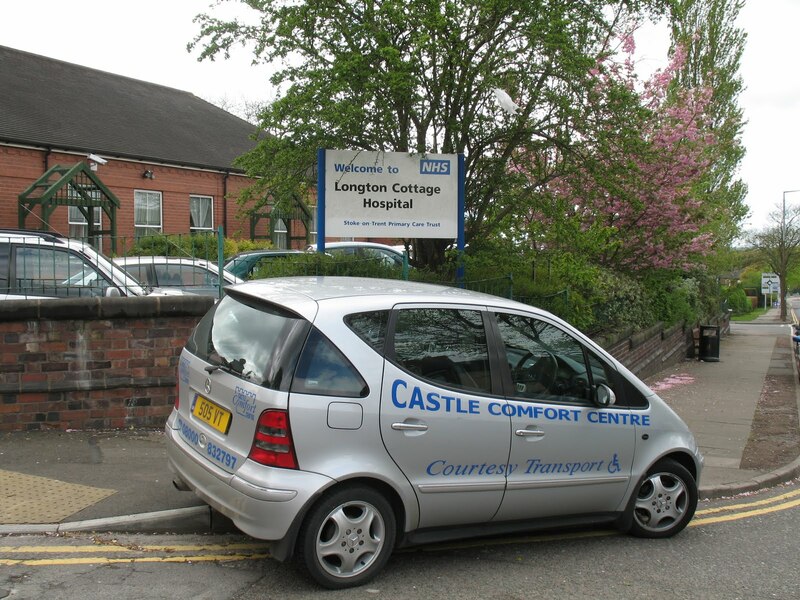 NB Castle Comfort Directors point out that when an emergency delivery has been arranged at short notice people have often insisted on paying extra even though no charges are made. In all cases any such funds are put towards the Good Deeds fund. Such gestures are not necessary but nevertheless appreciated. No CC team member will accept 'tips' under any circumstances. 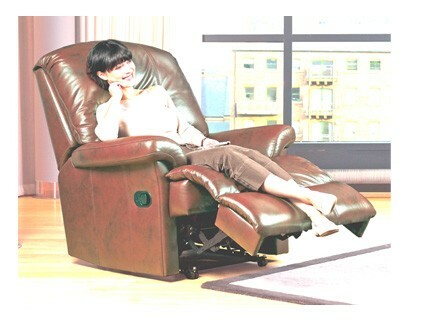 The trio of 'Comfort Experts' waiting to hear from you are pictured below. 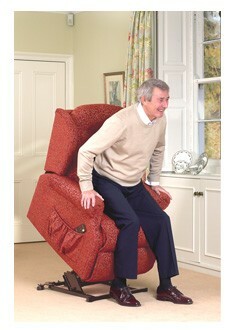 Excellent range of stairlifts and riser-recliner chairs - well worth a visit. 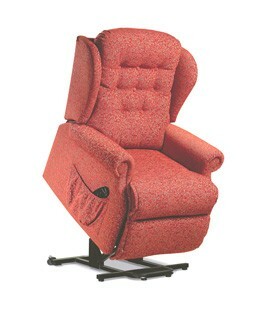 Beautifully made riser recliner chairs, would definitely recommend.